It’s never too early to teach children about Bitcoin. Parents everywhere are teaching their youth about digital currencies. When kids are learning math, code and consensus, the financial system of the past has something to worry about. My children are two and six and they both know Bitcoin quite well. My youngest can say many of the terminologies involved with the virtual currency, while my six-year-old can understand it even more. Discussions on the topic of Bitcoin are a regular occurrence in our household. Discussions ranging from understanding what a cryptocurrency is, to its scarcity and digital storage. My children have a further grasp on the subject than most adults. Of course, like learning any foreign language, being younger always helps. 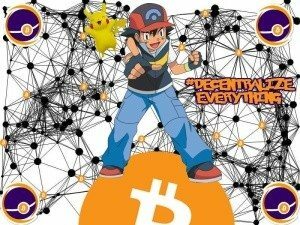 With games like Minecraft, Counter Strike and Spells of Genesis all now accepting digital currencies, it’s no wonder kids are hearing about Bitcoin. Their favorite games contain the use of exchanging digital currency for special achievements, weapons and skins for their customized gaming experience. You can’t slip a dollar bill through the Xbox console, children understand this. An online token of value is needed to acquire the certain objectives the players want in the game and Bitcoin is the natural choice. With Microsoft and Xbox Live accepting BTC as payment, now children from all over the world can participate in this economy in their own way. Children are eager to learn and do this faster than adults. A child is more open to certain concepts when they are not flooded with beliefs and bias. Understanding Bitcoin is no different as lots of children are quickly learning how to send and receive the currency. But what are they learning actually? Well, they are learning how to keep strong passwords and addresses safe from the public eye. Learning to manage their virtual assets online like they manage their skins and mods. Children are learning the speed and fluid action of Bitcoin and how they can receive gratification to their online experience instantly. They discover how to operate and transact with value and be responsible with it from a young age. One of the most important aspects is it provides kids with a sense of independence. Bitcoin gives us all sovereignty and independence. From young children to the elderly, we can all benefit from the use of the digital currency. Important aspects that are known to both adults and kids are the three core attributes of the protocol: these are decentralization, open source code, and peer-to-peer applications. Children are more apt to pick up these fundamentals from an early age. These three concepts are now defaults in most of the up and coming online applications, with the youth at the helm of all its design. Children like decentralization and not being tethered to a central authority. We all know what it’s like or have seen how independent kids can be. Bitcoin is a great application for kids to understand that there is no authority to the application. No boss or parent figure telling the network what to do. This may be appealing to children who see their parents’ money buy less and get taxed through centralization. With the inflation of fiat currency, adults unknowingly must purchase less goods for their kids because the current currency is devalued. With taxation from a central authority point, the youth see their parents hard earned wealth dissipate to certain forced entities. What children in this world actually like to have less buying power? When parents are unable to afford things this may create conflicts between children and adults. Scarcity and saving incentives offered by Bitcoin give the cryptocurrency an edge over its fiat competitor. Open source code and opening data globally is becoming widely known for its great incentives. Children are becoming aware and quickly learning educational techniques from open source information. 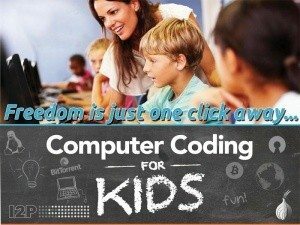 In this age they can simply go online to learn their favorite video game move or learn how to code their own. Being able to access code, data, and analyzed research is helpful to everyone. Children see this and are expanding this social network of learning exponentially. Seeing a currency’s code that can be worked on and democratically updated is appealing to the youth of today. There is no age limit or regulated licensing involved with being a young developer. Bitcoin’s core code and decisions rest on the network’s user base. This would include children and teenagers using the virtual currency. The peer-to-peer evolution is happening drastically and children are the most integrated. From the use of the social media apps and sharing protocol online, people of all ages are able to swap their favorite things. From MP3s to their favorite ebook and now even money. Being able to exchange value online has become a trend for the young generation and continues to find new supporters. Throughout the elaborate play of video games and file sharing, kids learn external subjects as well. While using Bitcoin, children may discuss how the protocol works and operates, learning the underlying math that goes along with the digital currency. They could possibly get to meet the characters of public and private keys. For the first time in history a form of money is able to be exchanged without a central authority. Just as skateboards, hip-hop and the internet changed our culture, Bitcoin will do the same. The protocol is just as exciting as all of these things and will be relevant for generations and years to come. The youth are learning math and consensus through adoption at an early age. With this new education in time these children will be the sole contributors to the network. 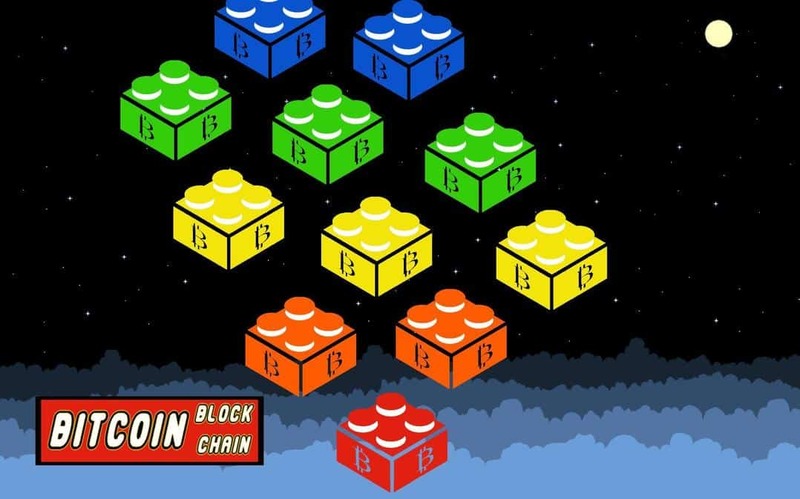 Teaching kids about Bitcoin and the attributes of the blockchain is an excellent idea. It teaches them more about the three previously listed core values, which all of them relate to daily. Children should all know the fundamentals of digital money, which will give them more inclusiveness and opportunities. Seeing how the uber-esque sharing economy and Bitcoin’s unique application power affect their lives will greatly emulate throughout the world and to generations to come. When you think about it, Bitcoin is no different than the skateboard revolution and Nirvana’s music, all changing our global culture. Disclaimer: The views expressed in this article are those of the author and do not necessarily represent the views of, and should not be attributed to, 99Bitcoins. So what is a good site to start saving/buying Bitcoin for my children? They are 8 and 10.